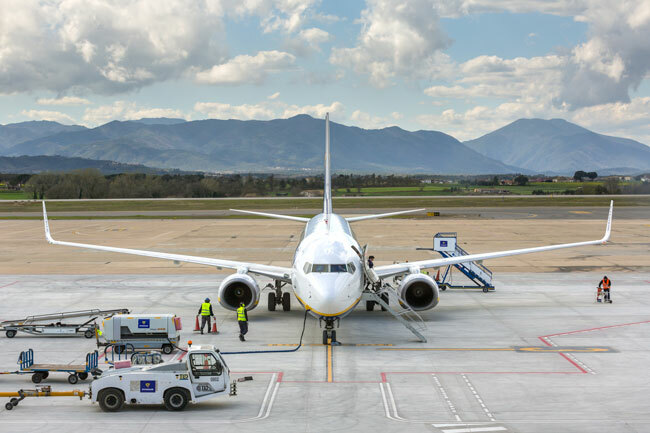 Use this website to find important information about Girona Airport: Flights (Departures and Arrivals), Parking, Car Rentals, Hotels near the airport and other information about Girona airport. Plan your travel to GRO Airport with the information provided in this site. Check Girona Travel Guide at Bautrip for more information about Girona. Girona Airport or Girona-Costa Brava Airport (IATA: GRO, ICAO: LEGE) is the second most important airport in the Barcelona area. It is located next to the town of Vilobí d’Onyar, just 13 kilometers away from Girona city center. Barcelona city is located 92 kilometers south, and for its proximity GRO airport is considered an alternative airport to Barcelona-El Prat. Some Airlines identify this airport as "Barcelona Girona Airport" or "Barcelona GRO". From the airport there is a good connection to the South of France and with the Pyrenees. Present & Future There is a plan to redefine Girona Airport as the fourth runway of Barcelona Airport, which will consist in the integration as a satellite terminal, by 2026. The project will include T1 south to be redesigned, a new inbound railway between T1 and downtown Barcelona, and regarding Girona Airport, an expansion of the main terminal (60,000 sq m), runway (52,000 sq m), and a new AVE station to connect Girona Airport with Barcelona Airport. The airport handled 1.9 million passengers in 2017. The airport is managed by Aena. 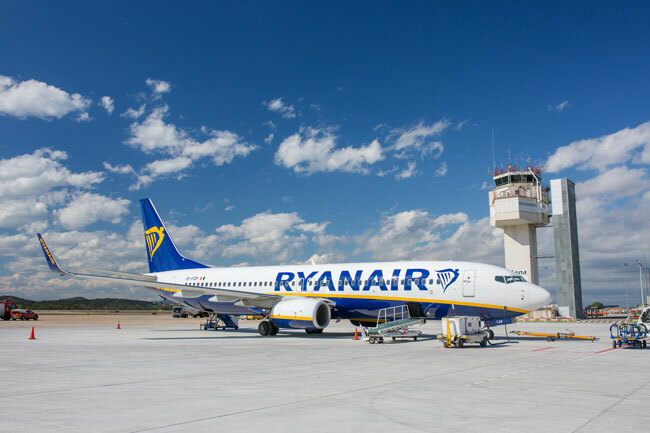 Ryanair has brought a large number of visitors to the airport since the 2000s. Inaugurated in 1965, GRO Airport used to have a low passenger numbers every year, just an average of 275,000 had been registered every year until the Irish airline Ryanair began flying here. From 2002 to 2008 the number of passengers increased ten times over, but decreased after 2012. Currently the airport serves about two million passengers annually. 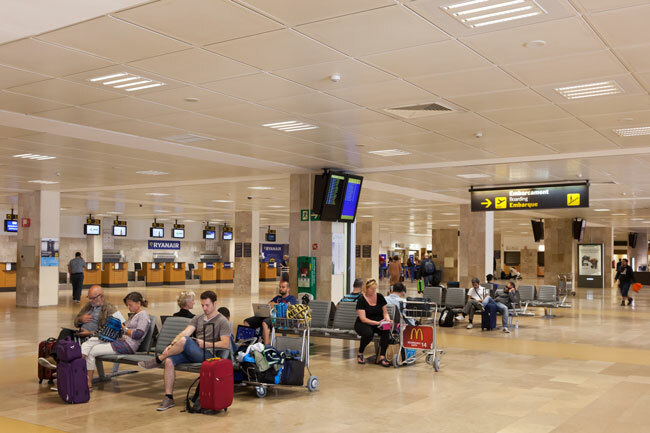 The airport has connections with ten different destinations: Bratislava, Cagliari, Hahn, Krakow, Eindhoven, Karlsruhe/Baden-Baden, Oradea, Pisa, Rabat, Moscow. Bus: Girona Airport is connected by bus to not only Barcelona and Barcelona Airport, also to Girona city centre, Costa Brava, Lleida, Andorra and France. Taxi: Get within 20 minutes to Girona city centre. Taxis at Girona Airport are metered and ready to pick you up anytime. The fare to transfer to Barcelona is about € 127.00 and to Barcelona Airport is € 150.00. Train: Girona Airport isn't connected to the Spanish railway system (RENFE). In order to use any of the available rail services, first you'll need to transfer to Girona Railway Station, which is located at downtown Girona (13 km). Girona Railway Station provides frequent services to Barcelona and France. Girona Airport has a main Terminal with two levels: Ground Floor and First Floor. The Airport operates with both domestic and international flights, mainly by low-cost airlines, charter companies and seasonal flights. - Ground floor: Arrivals and check-in counters. The city of Girona is located 92 km northeast of Barcelona. 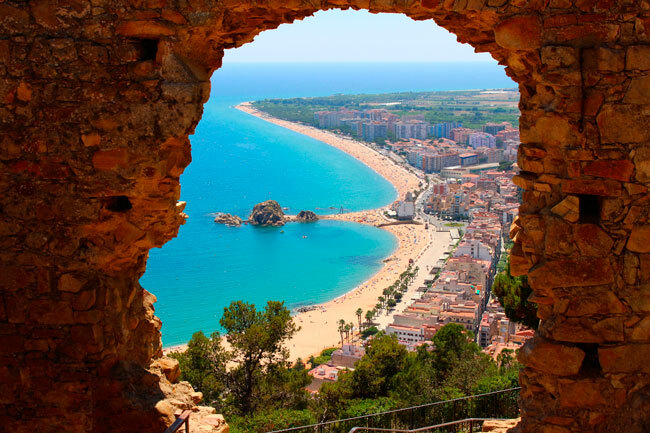 Find the best way to transfer safe and sound to Barcelona from Girona Airport. For items lost on aircraft, please contact the airline concerned.